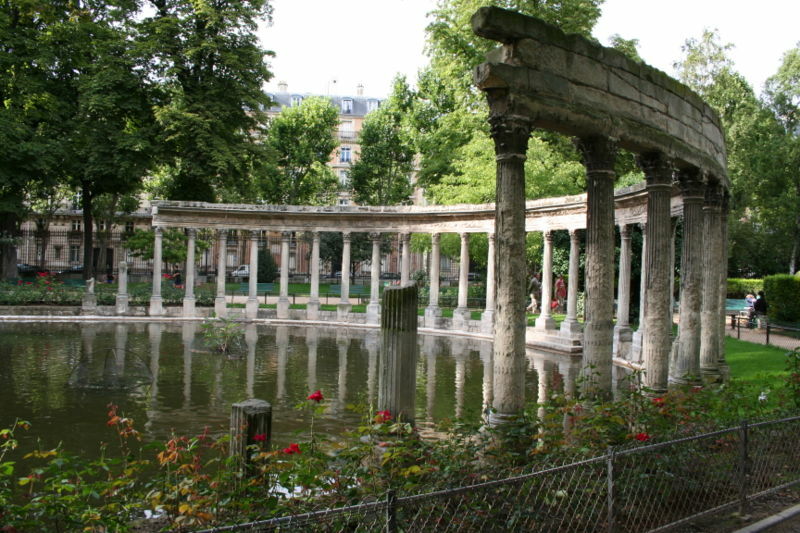 Parc Monceau in Paris, where I ran. Thus, Superbowl weekend doesn’t mean much in our house. This is a departure from my upbringing and college days where we’d get together with friends for a rowdy viewing of the game complete with chips, dips, and cheap beer. I grew up in a family of athletes; myself included. 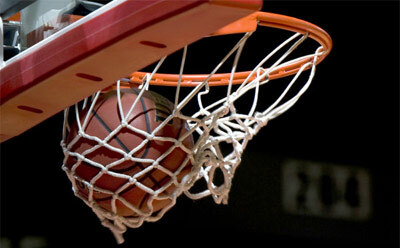 I lived and breathed basketball; there was a time when I thought nothing else in life was worth getting excited about. My family was convinced I’d one day marry a basketball player who would kick back and watch the game (meaning – every game ever). They couldn’t quite believe my hubby hadn’t played sports and wasn’t interested/knew nothing about them. Sadly, the men in my life have trouble relating to each other because of this canyon that divides them. Kudos to my hubby for joining my dad and brother in front of the game and trying to understand. Props to him, also, for mastering the baseball lingo that is such an ingrained part of our everyday speech but impossible for most foreigners to grasp (e.g. “Hit it out of the park,” “Striking out”). A laser, my favorite boat to sail. Interestingly, in France, high school is all about academics. Extracurricular activities, such as sports, clubs, even dances, aren’t offered. So perhaps it’s not just a question of interest, but also of opportunity. My husband grew up sailing, which is the perfect French sport. It’s intellectual: requiring analysis and specialized knowledge. 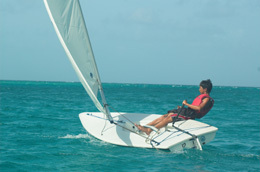 It’s graceful and doesn’t require a lot of physical exertion (with a few exceptions, like laser sailing). It’s exotic, sophisticated, adventurous. Alas, to many Americans, sailing isn’t really a sport. After all, there’s very little blood or sweat. Weird look directed at me. “Wait, what did you just say?” I asked. This entry was posted in Americans, Family, France, French, French Blow, French People, Kids, Parenting, Sports and tagged Football, Superbowl by A French American Life. Bookmark the permalink. Maybe Parisians aren’t very into sports, but the peasants in the Provence definitely love them ! All of my friends here are obsessed with rugby, and they’ve made me watch the games with them !